Uhushuhu - "Long Songs Pleasant for Hearing"
"Long Songs Pleasant for Hearing"
"U'hu! Shu'hu!" - hoot owls in a forest, as told by Daniil Kharms, and in the sky, above a rainbow, long songs pleasant for hearing are sung to a cherubim. Uhushuhu is a name of a project run by members of the creative group "Utrovortu" and their "Long Songs…" is the first studio record made after a few interesting performances at small underground city clubs and forest open-air festivals in the Leningrad region. Following these songs we set off on a journey through structures and surfaces in a shell of experimental drone ambient. We will face sonic anomalies, random wanderings in unstable and unpredictable spheres, vague rustles and semblant echoes, spaces of various densities, mood and nature, hidden dead-ends, spontaneous phonations and labyrinths enclosed in themselves. 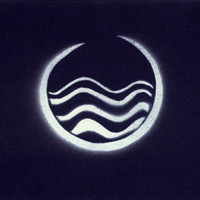 First edition made on quality pro-CDRs in an edition of 77 copies in a sleeve of designer cardboard with a stencil-painted cover. Second edition - 55 copies on white cassettes with stickers, two-sided full-colour cover. [...] Uhushuhu, a project from one Daniil Kharms, named after the onomatopoeia of owls and this is the first release, following some 'interesting performances at small underground city clubs and forest open-air festivals in the Leningrad region' - did they rename the city again? Indeed long pieces here of a likewise rough diamond shaped drone/noise/ambient/industrial, with the howling of overtones, layered together, and created with loops of a varying length. That makes that nothing seems to stay in the same place and within this mass of sound we have a constantly changing sound picture. Maybe, outboard, there is some more sound effects running about to change the sound further in real time and it works pretty well. Whether this is pleasant for hearing is of course subjective: if this kind of music means nothing to you, then it will be hardly pleasant at all but I quite enjoyed it. It's a tad lighter than the release by Kshatriy, in all its darkness, if you get my drift. Varying shades of black. I can imagine a concert situation with people lying down and these 'long songs' waving over the audience, lulling them sleep or transporting them to different places. Between shadows of secular trees, behind the bushes wide spread, washed by a soft water of spring rains, lies a small glade, well hidden from the eyes of officious humans. There is a beautiful flower in the middle of the glade; Adonis is its name, grown by the warmth of a tender sun. Vast forests protect it from all harm, from any possible damage or intervention. A huge owl guards its sleep, salamander from the nearby pool sings it lullabies, carrying about its eternal blossom. Everything around is bound in harmony, creating an eternal circle of life, living on, existing by indestructible laws. "Uhushuhuuuuuuuuuu",- the owl shouts commanding trees and bushes, mushrooms and flowers, springs and pools, animals and insects to join in a spellbinding dance of nature. The stream of time is different here, there is nowhere to rush, and there is no plan or schedule to meet; tranquility and conciliation are key words to exploit. Russian based musicians that bring to our consideration their three "Long Songs Pleasant for Hearing" prone to obey this call as well and try to describe the natural macrocosm by connecting three habitats - "Surface", "Underwater" and "Underground". And what can be a better tool to tell such a story rather than a circularity of drone ambient music. The album opens with the "Surface", a long composition of 24 minutes run where the listener sinks inside a constant progressive loop. A picture drawn by the artist reminds me of colorful fractals of a kaleidoscope; they roll over and over again creating intricate visions having a highly hypnotic influence. After listening to this track for a dozen of times I start to distinguish few sub-loops while the music becomes more and more complex within each of them. Furthermore, each of them has its own set of special effects, whether those are different cracks and clicks or some kind of background rustle, electronic pulses or soft echoed voices, all of them create unforgettable patterns. A gentle percussive beat guides the main melody with a constant tempo during the whole running time inserting a bit of a tribal atmosphere, an atmosphere of a ritualistic worshiping of Mother Nature. Bit by bit, the colors become denser, become saturated with strength from the roots of centennial trees, with a bitter taste of a fertile soil, with a solar energy of beneficial sun. Myriads of insects and birds fill the air with their laudatory songs enjoying ambrosial blossoming of the mighty Adonis. A transition between the "Surface" and the "Underwater" is very smooth and the effect brought by this composition definitely matches with its name. The atmosphere becomes a little bit darker; the half-tones transform into turquoise and light blue colors corresponding with a diving into refreshing waters of a river or a lake. Different underwater dwellers scurry around creating small vortexes, playing with scattered blinks of light. Another loop based melody circulates over and over again enveloping a bodiless spirit of mine by its meditative canvas. If you are still alive and survived two previous tracks without immersing into nothingness, this is the right moment to experience an "Underground" journey as well. The drone becomes much denser and monotonous operating with tensions more than with diversity of sound. A buzzing effect pierces through the whole track creating some kind of an energy flow effect, like its millions of energy streams flow through the soil distributing a "life source" between all the creatures upside. Slow and steady the track fades away but the listener stays hypnotized until the very last second. 77 copies of "Longs Songs Pleasant for Hearing" were pressed and I believe that it is far from being enough. Even when the music is not as polished as the creations of Steve Roach or professionally constructed like I am used to hear from Troum, the sound of this record is clean and sincere in its own way. There are few moments in which the loops and drones were too overextended, but the spirits of nature, water and soil drove the atmosphere forward. Their voices are very strong in each of us who explore the colorful world of ambient music. Therefore, I suggest you to start hugging trees around, listen to the tunes of Uhushuhu and join the army of the great OWL. I will meet you on the other side. 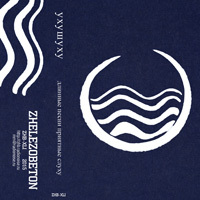 The Russian uhushuhu plays on its debut full-bodied ambient, reminiscent of many other ambient artists on the same label, yet with something of its very own. The sorrowful core sound layer is made more interesting through well-fitting rhythmic knocks and the use of buzzing. Structural changes work excellently, so that the developments taking place feel natural and interesting. All in all, the whole album has just the right amount of rough edge to it. It has pressure, even oppression, and at times also beauty in a very traditional sense. The last of the tracks, Underground, isn’t quite as good as the two others, but isn’t bad at all either, just less interesting. This record would have deserved a much larger number of copies. Quality ambient. There's a Cyrillic transcription affixed next to the name of this project, which is even more cryptic in appearance than the onomatopoetic moniker Uhushuhu, rendered as Yxywyxy. Supposedly in both languages, this transliterates somewhat close to the call of one of the larger predator owls bellowing to another owl in the forest. U'hu! Shu'hu! - or the Boy Scout mnemonic "Who Cooks For You?" asks the Barred Owl (whose habitat includes both Russia and North America, fyi). But taken outside of the context of avian communication, the hushed blur in whispering Uhushuhu could easily stand in as a whoosh or hiss as pure description of their dreamy, forest-dwelling drones. And yes, the Uhushuhu collective have been known to perform and produce their work under the canopy of the Russian forests outside of St. Petersburg, making them something of a Russian reincarnation of Jewelled Antler. There's much more of an electronic underbelly to Uhushuhu than Jewelled Antler, while retaining the pine-cone drone ethos of luminously radiant psychedelic dronescaping. The first track actually holds a number of aesthetic similarities to the long form works of Motion Sickness Of Time Travel - sinewy, seductive, and slippery passages of intertwining synth melodies softened through reverb and spaciousness, furthered along by watery field recordings and damp ruminations on subterranean lairs, wormholes, and caves. Each of the album's three tracks clock well past the 15 minute mark, leading towards deeper, more shambolic explorations of sublime atmosphere. Quite a lovely piece of work, but it's limited to just 77 copies! A trio of debut scapes by Uhushuhu, a project sprung from a Russian arts collective known as Utrovortu, these Long Songs Pleasant for Hearing are twenty-four, eighteen and ten minutes long, respectively. Uhushuhu is the sound of the call of the owl, according to persecuted Soviet-era sound poet Daniil Kharms. The woodsy reference is apposite on “Surface,” which, though pleasant for hearing indeed—the main motif swaying gently like weeping willows in the breeze, just touching the surface of a quietly running river—has a rough hewn quality, as if produced in a shack deep in the forest with home-built equipment pieces not screwed together solidly, things rattle, ambient radio waves impinge. Though titled “Underwater,” the second track seems to have been recorded in the midst of a great industrial site, the machinery groaning and vents letting off steam, and the radio is now picking up ghost voices. More drone than the previous pieces, more grind, in fact, but still maintaining the same spooky lilt and unable to adjust away the radio interference, “Underground” reflects its name well, a grit-encrusted, chthonic fanfare for the ex-gods of all religions to cavort to an orchestra that cannot tune up. An impressive suite merging technological and natural mysticisms. The Russian uhushuhu plays on its debut full-bodied ambient, reminiscent of many other ambient artists on the same label, yet with something of its very own. The sorrowful core sound layer is made more interesting through well-fitting rhythmic knocks and the use of buzzing. Structural changes work excellently, so that the developments taking place feel natural and interesting. All in all, the whole album has just the right amount of rough edge to it. It has pressure, even oppression, and at times also beauty in a very traditional sense.